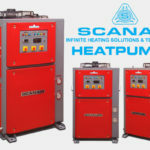 Scanair India infinite heating solution providers and professionally managed organization engaged in manufacturing and exporting premium quality Heat pumps, Heat pump dryers, Dehumidifiers. We primarily focus on manufacturing Industrial, Residential and Commercial market total solution for your hot water requirements. Used in various industries, Hotels, Restaurants, Theatres, Shopping malls and Boutiques hospitals, Diaries, Canteens, institutions, Hostels, Industrial application, Pre-heating for Seed drying, Food, Pharmaceuticals power drying integrated with Tray dryer, Fluid bed dryers, Laundry applications, Herbal drying, Fish, Meat drying, Onion, Vegetable, Fruit drying application needs, Swimming pool heating etc,. Scanair present an innovative range of heat pumps with improved efficiency and advanced technology. These heat pumps are provided with shell and coil, multiple liquid injection heat exchangers for powerful heating ability, high efficiency and reliability. The Drying Chambers are custom built systems for low temperature drying, where both humidity and temperature in a drying cycle is tailored to a particular product. Our solution resulted in product consistency, production efficiency and reduced waste. Industrial Dryers are designed for demanding needs of Industrial heating and drying applications. Mostly used in Wood drying and Fruit Drying. The Solar heat pump hot water system, designed for maximum utilization of solar energy for general purpose heating. It not only saves energy, protects environment too. Scanair is the Manufacturer and Supplier of Heat Pump in Chennai, since 1996. Our product performance and quality and innovative technology is the result of research and development over 2 decades. We have provided the most flexible and exemplary service and heating solutions. Our manufacturing facility is capable of producing equipment like Heat pumps, Air source heat pumps, Heat pump water heaters, Heat pump dryer, Heat pump dehumidifiers, Water heaters, Hotel hot water boiler, Swimming pool heat pumps, Residential heat pumps, Solar water heaters, Industrial water heaters, Geothermal heat pumps, Drying room, Industrial dryers, Tray dryer equipment, and others with an endless list of options and modifications to meet virtually any customer need. Over the years, our sales and application support teams have developed expertise in providing best solutions for different applications. Further, we seamlessly integrate the process of designing and engineering to develop collaborative models with great emphasis on innovation and value. Scanair is committed to provide our clients best return on their investment by providing highest quality and energy efficient is extremely affordable. This ozone friendly heat pump has been designed for many years of trouble free operation. We strongly believe that this will help our customer to choose a right product for their applications we also manufactured custom built equipment as per the site requirement and customers satisfaction. We have a service network throughout the country to take care of all your requirements single source responsibilities cover including designing, manufacturing, and installation, servicing by experienced and competent engineers.